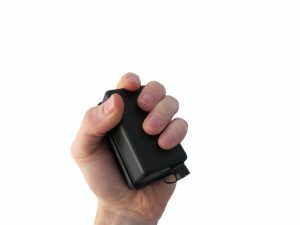 The smallest GPS tracker we have seen! The Micro 7 GPS Tracker is the smallest GPS tracker in our range and the smallest we have seen yet! In the image above it is photographed in my hand so you can see how small this tracker really is. Considering it has a built in modem, SIM card slot, GPS receiver, motherboard and 400mA rechargeable battery it’s about as tiny and lightweight as a tracker can be. 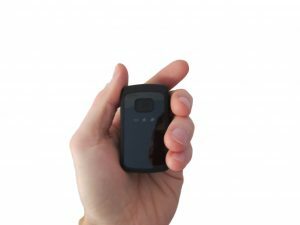 However, if you really are searching for the smallest GPS Tracker on the market today then look no further than the TMT250 model, it’s tiny! It also has double the battery life of the Micro 7 as it has a built in 800mA rechargeable battery. Our trackers work worldwide (we also ship worldwide) and are extremely good value for money. The Micro 7 is linked to our fantastic online tracking panel and you can track your tracker live with updates from as frequently as every 5 seconds if you wish. We also have free to download “trackserver” tracking apps for both android and apple devices, so you can check in and see where your tracker is using pretty much any mobile phone or tablet. The system allows you to set up motion alerts, useful if the tracker is deployed on an asset that should not be moving i.e. your car when you’re on holiday, valuable farming or factory machinery or your motorbike stored in the garage. If you use this feature then a message will be instantly sent to up to 3 mobile phone numbers or email addresses. Other security features such as setting up zones on the map are available, so you could draw a zone around a particular road, industrial estate or area and be notified via text or email if your tracker leaves or enters any particular zone. Due to the tiny size of the Micro 7 GPS Tracker it holds a small battery (400mA), this could last from a couple of days to a couple of weeks depending upon how often on the move and how frequently you ask it to report in when it is moving. Our trackers drop into “sleep” mode when not on the move and this saves battery life. The TMT250 GPS Tracker is now the smallest in our gps tracking device range and holds an 800mA rechargeable battery. If you require a tracker with longer battery life then take a look at our full range here, we have covert battery powered trackers to suit pretty much any surveillance or security application. Most come with, or can be supplied with, weatherproof magnetic cases too. Perfect for rapid deployment on a car, van or any other metal surface. GL300W GPS Tracker with 2600mA Rechargeable Battery – weatherproof magnetic case available. There is no installation or set up to do whatsoever with our GPS trackers, they arrive at your chosen delivery address completely ready to go. Just login to the main tracking website or one of the app and enter the login supplied with your device. Once you’ve placed your order online with us you can contact us for your tracker login details and even track the device to your home if you wish, just let us know!